Sail Sand Point senior staff create and oversee Sail Sand Point’s programs, are responsible for day-to-day operations, maintain facilities and fleets, implement long-term goals, and interact with our community on a daily basis. Our small year-round staff works under the guidance of the Board of Directors. SSP also relies on its stellar team of seasonal staff to run our programs, such as sail camps/classes, Open Boating, and coaching. Sail Sand Point is fortunate to have such an enthusiastic and dedicated group of instructors, coaches, and dockmasters! If you are interested in a seasonal position at SSP, you can find more information here. 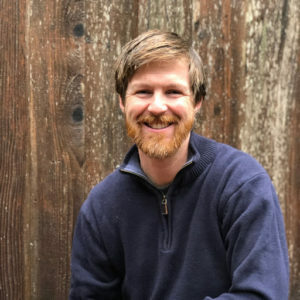 Seth comes to Sail Sand Point from Salish Sea Expeditions, a non-profit sailing and marine science organization based in Puget Sound where he served as Executive Director from 2012-2019. Prior to that Seth was the Maritime Education Director for the San Francisco Maritime National Park Association which hosts over 11,000 youth annually aboard ships on San Francisco Bay. He has more than 22 years of experience in the fields of Outdoor Leadership, Education and Non-profit Management and has held numerous positions with organizations including the Marine Science Institute, Camp Galileo, Rippleffect, Get Out and Learn, the Snowboard Outreach Society and Absolute Adventures. Seth has dedicated his career to teaching and inspiring others through outdoor adventures and is thrilled for the opportunity to join this community. Seth holds a BA in Geography from the University of Colorado at Boulder and studied Hydrology at the School for International Training in Belize. When not sailing or making repairs aboard his C&C 27, Seth can be found adventuring with his two sons and his wife Christen, playing guitar, enjoying board sports of all kinds, reading and gardening. He is originally from Maine, but doesn’t have a funny accent. Nino is a Seattle native and SSP “lifer” having been introduced to Sail Sand Point in 2002, when he took his first sail camp! After enjoying summer camps and SPYS for a few summers, Nino became a volunteer and later an instructor in 2006. 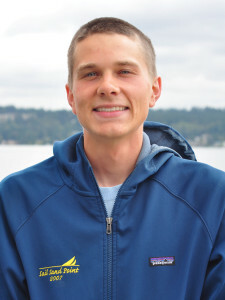 He spent his next four years at the University of Washington, teaching camps at SSP in the summers and sailing on the UW team in the fall and spring. Since graduating in 2010, Nino has been a consistent coaching presence for the youth racing teams, drastically increasing opportunities, resources, and most importantly, participation. After years of learning the ins and outs of SSP, becoming involved on a management level was an easy transition. Nino’s leadership and interpersonal skills (cultivated as a student and instructor) are a textbook example of the power of SSP to develop future leaders. 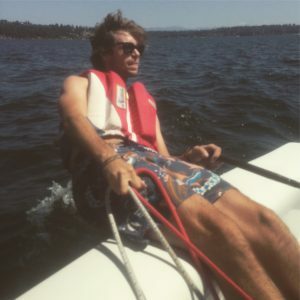 Besides a deep devotion to building and strengthening the SSP community, Nino is a staunch proponent for growing community sailing in the NW (and beyond), especially through youth racing and instructor development. He is a US Sailing Level 3 Coach and Level 1 Instructor Trainer. Outside of being around SSP, Nino enjoys racing with the Seattle Thistle Fleet throughout the spring and summer at Leschi. His other interests include anything outdoors; most notably rock climbing, backpacking, and other activities that allows for continued exploration of the American West’s expansive natural beauty. A Pacific Northwest native, Ashley has been boating around Puget Sound for longer than she can remember. After learning to sail at age 8, she spend her childhood summers on the water, eventually sailing on her high school team. Always wanting to share her passion for sailing with others, she taught sailing at local junior programs for 11 years! After graduating from Western Washington University, she worked for the Olympia School District and the State Chamber of Commerce before returning to the sailing world, joining the SSP staff in August 2017. Ashley is excited to be part of a community boating center that brings the joy and life-enhancing benefits of sailing and small boats to all. 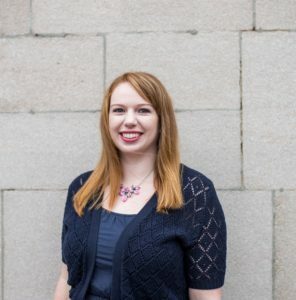 Outside of working at SSP, Ashley enjoys travel, cooking, reading, and exploring Seattle with her husband. Bryan suffers a strong addiction to the water. Inspired by stories of his grandfather racing e-scows against Buddy Melges and cruising the South Pacific aboard a 65’ wooden schooner, Bryan has taken to everything involving wind and water. In college, Bryan taught sailing and windsurfing courses and raced around the country as a varsity skipper before becoming the captain of the team his senior year. Even while being on the water seven days a week, Bryan earned his BS in Environmental Science during his time at WWU. After graduation, he moved to Puerto Rico to teach watersports to the rich and famous where he learned how to speak Spanish, kiteboard, surf and scuba dive. When he left the island, he set sail on a 46' catamaran headed to explore the rest of the Caribbean before returning to the great PNW. He now lives aboard a 34’ wooden boat, his occasional commuting vehicle to and from SSP and spends his time off-the-water riding mountain bikes, skiing, and playing the trumpet in a Cumbia band. His other professional life as a Marine scientist has led him to work in Hawaii, Canada and Mexico in the aquaculture industry and he remains to be very passionate about marine ecology and the environment. Bryan is very excited to share his experience and enthusiasm for the water with the SSP community. You’ll find him coaching, fixing stuff, developing new programs, or on the water inspiring folks to become lifelong sailors! 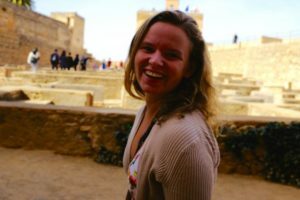 Originally from Portland, OR, Audrey joined the Sail Sand Point team as an assistant instructor in 2015 after learning to sail that year from her teammates on the University of Washington sailing team. In the following years she not only lead the summer camp program at SSP, but served as captain of the UW team. After graduating with a degree in philosophy in 2018, Audrey joined the full-time staff as our Youth Program Director. Audrey’s passion for youth sailing comes from her late entry to the sport. She hopes to inspire young sailors to enjoy the water in an activity that will last a lifetime. Although sailing is her job, it’s also her pastime. When she’s not working, Audrey enjoys sailing with the Seattle Laser Fleet or with the J24 fleet in the spring and summer. When on shore, you’ll find her with her dog, Westley.